Happy National Peanut Butter Lovers Month!!! Today I have a fun recipe for you!! That I simply love and oddly enough my Husband did too! This is shocking considering it contains peanut butter and oatmeal, two things my Husband does care for, but he just raved over these cookies. Why did I make these cookies? Well besides my dying love for peanut butter, I entered them into a Peanut Butter contest hosted by the National Peanut Butter Board. 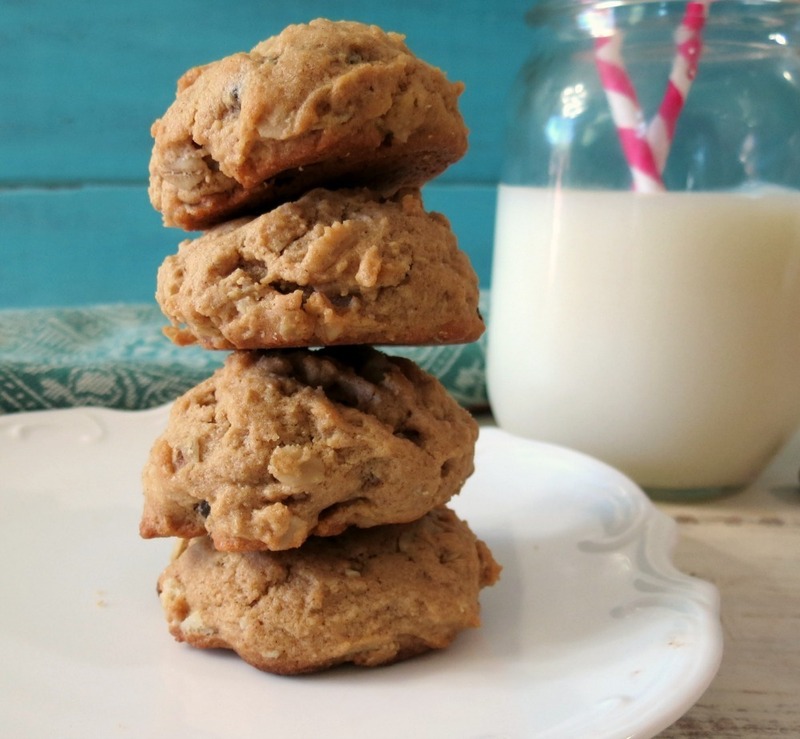 I took my traditional oatmeal raisin cookie and zipped it up into a fantastic little cookie!! These cookies are rich with flavor. The first bite you get the oatmeal, a little chew from the raisins and then bam, cinnamon hits your tongue and then finished off with a sweet maple syrup peanut butter taste. Yup, these cookies are so depth in flavors that each time you chew you taste something new. That last bite is always the peanut butter. Oh baby, they are truly a wonderful little cookie. To make this recipe a little different I added pure maple syrup to it and used a maple flavored peanut butter. One of my favorite combos is peanut butter and maple syrup. Sounds kind of weird, but trust me, it’s amazing. Every time I make homemade peanut butter I always sweetened it up with maple syrup. I love maple syrup! I could practically drink it!! 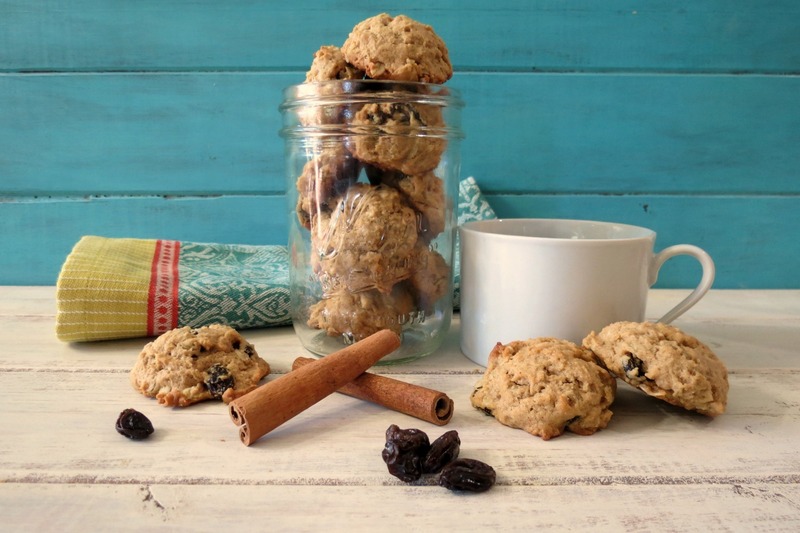 I also added a pinch of cinnamon to the cookies to add a little umph of flavor and after all cinnamon, raisins, oatmeal and peanut butter go together wonderfully. 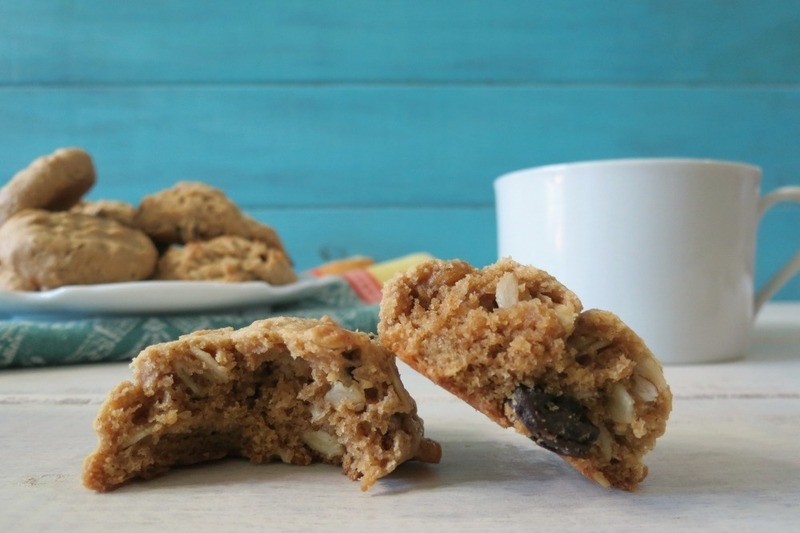 This cookie is kind of like a big bowl of oatmeal, drizzled with maple syrup, sprinkled with cinnamon and topped with raisins, but in cookie form. It sounds like a great breakfast! Think I’ll make that tomorrow! 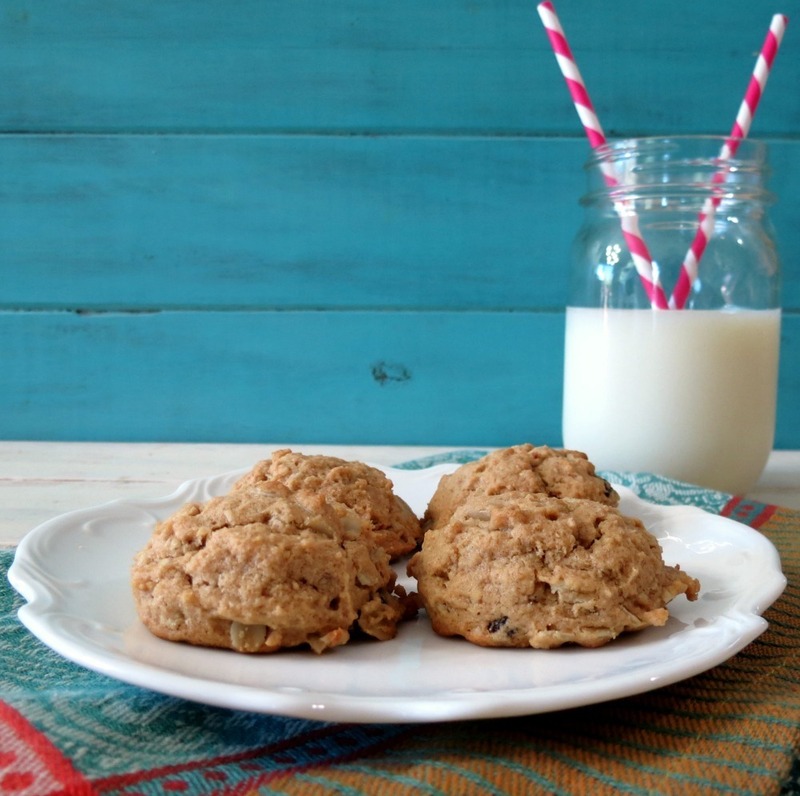 Trust me, if you like that kind of oatmeal, you will truly love these cookies. I’m pretty stoked to be in this peanut butter contest! I am up against 5 other fabulous bloggers. Bloggers who I know and love! They have some delicious sounding recipes and I’ll be sure to check them out today. Since this is a contest, I would just love it if you voted for me. When you vote, you are entered to win a peanut butter lover’s prize pack with $25 gift card. You can’t beat that! So don’t forget to vote. You can vote everyday! The contest runs from November 1st to November 30th and starts at 9am Pacific Standard Time. To vote for your favorite peanut butter recipe (pick me, pick me) you can go to here. 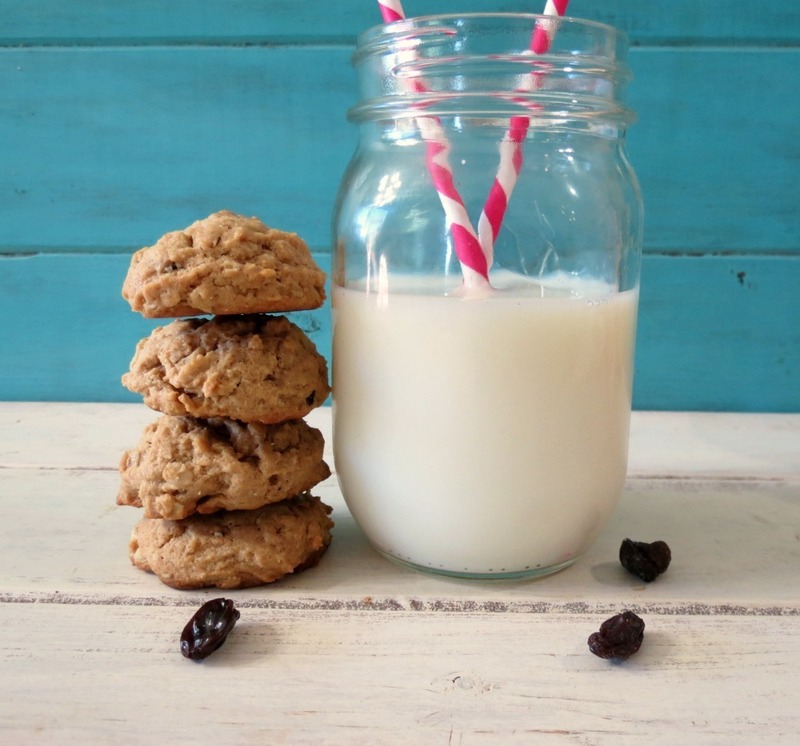 A healthy, chunky oatmeal cookie made with creamy peanut butter, sweet maple syrup, plump raisins and a pinch of cinnamon love. In a medium bowl, add flour, oats, baking soda and salt; stir well; set aside. In a large mixing bowl, add brown sugar, maple syrup, peanut butter, butter, and vanilla extract. Beat until combined. Add the egg and beat until blended. Add the cinnamon and beat until combined. Gradually add in the flour mixture and mix until just combined. Fold in the raisins. Scoop about 2 tablespoons of cookie dough on to prepared pans about 2 inches apart. I baked 12 cookies per sheet. When cookies are baking, I refrigerated my batter. 2nd option for baking: Refrigerate the cookie dough for 30 minutes, roll into a ball, place on baking sheet and with a tine of a fork, make cross marks. Store cookies in an airtight container for up to 5 days or store int he freezer for up to 3 months. 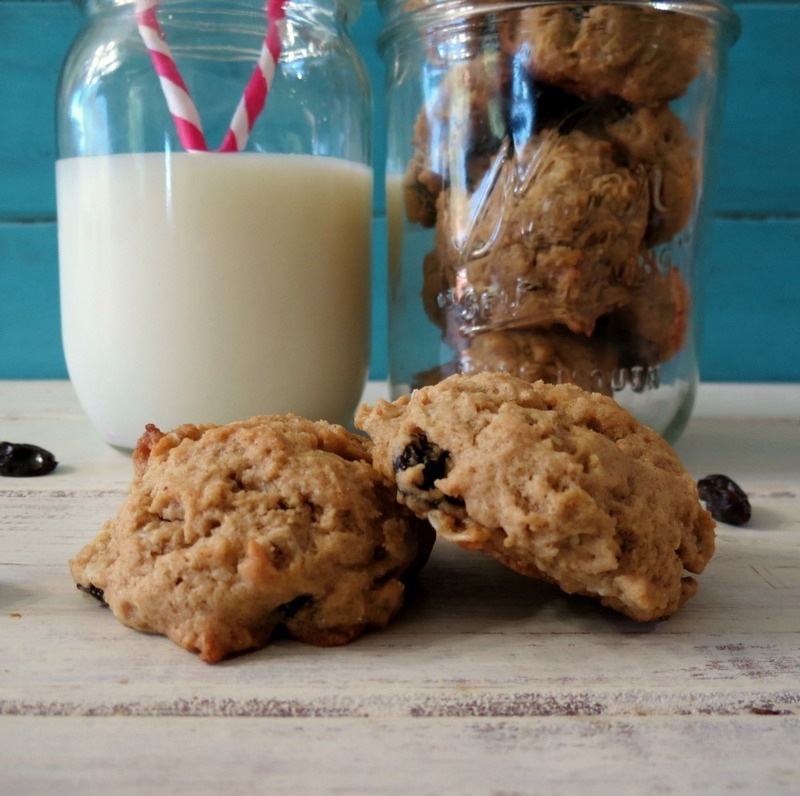 My guess is that it is going to be chilly out where you live and I think this would be a great opportunity to make some warm Peanut Butter Oatmeal Raisin Cookies, grab a cup of hot tea and cozy up on the couch with a big blanket and watch a movie. Sounds wonderful! Since I made these cookies a month ago, I am now craving them, so I think I’ll make them this weekend too! Make the cookies, let me know what you think and if you like them, please vote for me! 🙂 I would love it if I can have your vote! Voting starts today at 9am Pacific Standard time or 12:00 noon Eastern Standard Time. These cookies look great! I am so obsessed with peanut butter! Good luck in the contest – I’m going to vote for you right now! Thank you so much Cate! I appreciate the vote! I’m a little obsessed with peanut butter myself. Make sure you check out the other bloggers recipes in the contest, there are some great ones there! Great twist on a classic Jennifer! Yummm! Such a great idea to add peanut butter! Love how thick these are!